Pretty-prints JSON instead of prompting to download it or rendering it as text. Collapsible array and object sections for easy navigation. 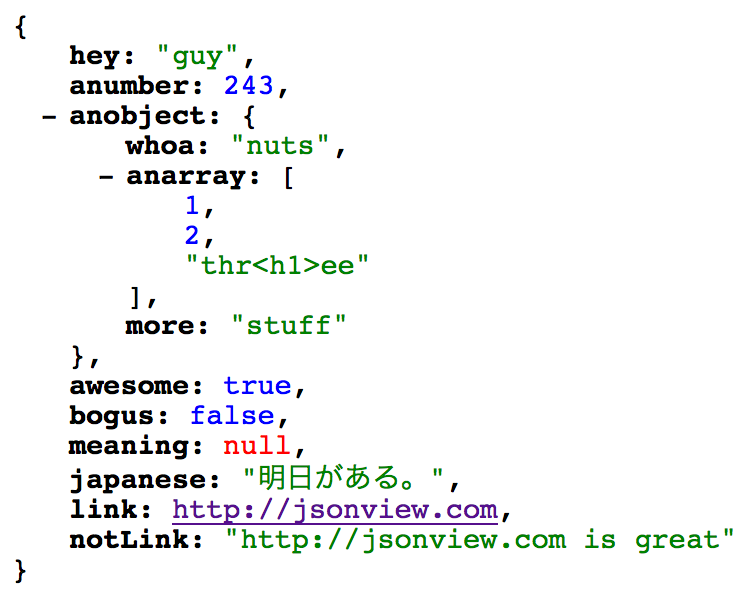 JSONView is open source software licensed under the MIT license. Visit the project page on GitHub fork the source and send a pull request!